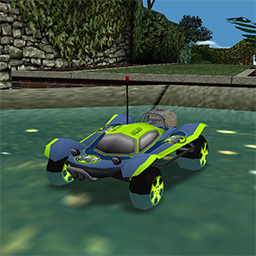 This is basically a remodeled version of the Frog V4 car, which was created by PaintHeart. I've changed a bit his body, together with some more details like the sidebars or the engine on the back. Also i've given him a different painting, carbox and rank for the car selection. This is a version for the amateur class.